After a disruptive weekend with localised downpours causing another round of flooding and slips, the upcoming week is looking much more settled as a high replaces the complex low pressure system that has been with us for the last few days. It is looking chillier for the start of May as cooler southerlies spread across the country tomorrow ahead of the approaching high. 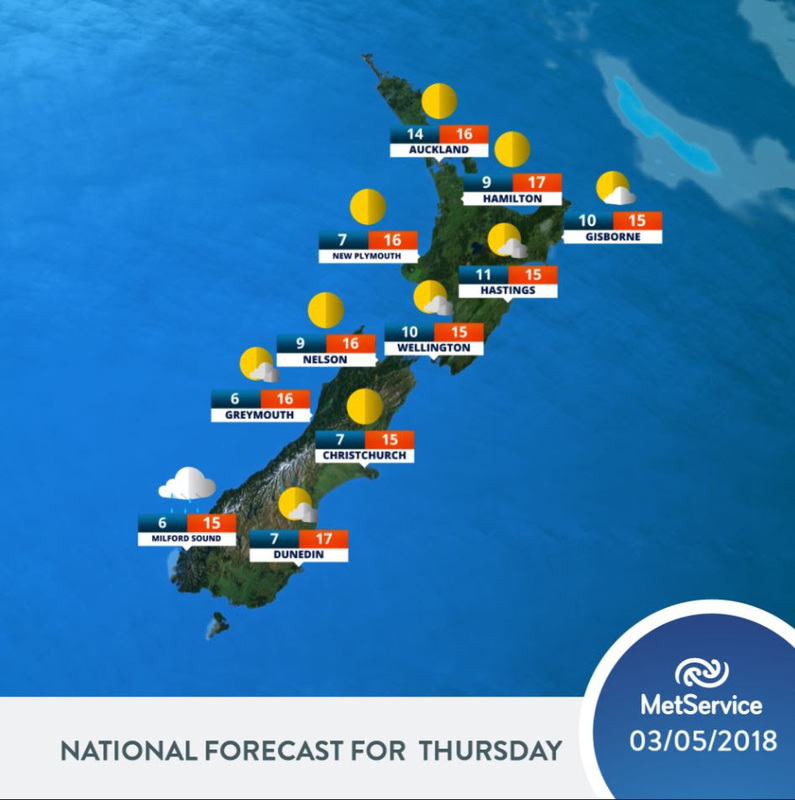 Even Auckland and Northland will feel colder than usual, especially on Wednesday, when maximum temperatures just edge into the mid to high teens. With fine weather dominating towards the end of the week, the only blip is some cooler starts to the day. Frosts likely for inland areas with expected light winds and clear skies affecting the usual places about the central high country of the North Island and inland areas of the South Island, especially on Wednesday and Thursday.